This is a 2 hour introduction to the exciting process of making paper from plants. 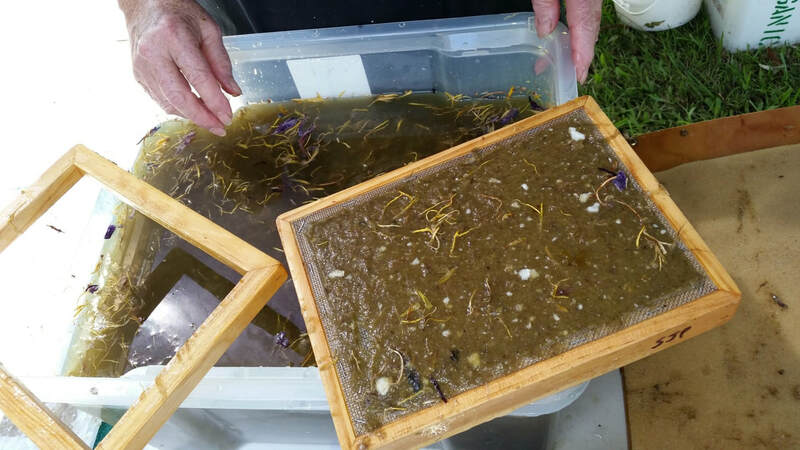 Experienced artists from Papermakers & Artists Qld will show you how to transform your garden waste, including weeds, into beautiful sheets of paper, with plenty of hands-on time to practice the finer skills of 'couching' sheets of paper. Coming soon! To be held at the Weller Hills Arts Hub, BVAC at Tarragindi, Brisbane.